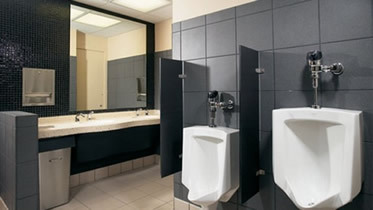 Abe Cohen Plumbing and Heating Inc. is who you need to call for commercial bathroom and kitchen installation and renovation projects in Ahuntsic, Baie D'Urfe, Beaconsfield, Bord du Lac, Cote Saint-Luc, Cote St-Luc, Dollard des Ormeaux, Dorval, Downtown, Hampstead, Ile Bizard, Lachine, Lacey Green, Lakeshore, LaSalle, Laval, Mile End, Montreal West, NDG, Nouveaux St. Laurent, Nun's Island, Old Montreal, Outremont, Pierrefonds, Plateau, Pointe Claire, Pointe St. Charles, Roxboro, Ste-Genevieve, St. Henri, Town of Mount Royal, Verdun, Ville St. Laurent, West Island, Westpark, Westmount. Every bathroom and kitchen installation or renovation project requires the involvement of a professional, licensed, and experienced plumber to perform the drainage, vent, and water piping connections, installation of fixtures, and where required, the natural gas installation. Abe Cohen Plumbing and Heating Inc. will give you up front an estimate of the cost of the plumbing portion of your project! We have been working with building contractors and property managers since the very beginning of our time in the plumbing business (over 50 years ago and over three generations!). 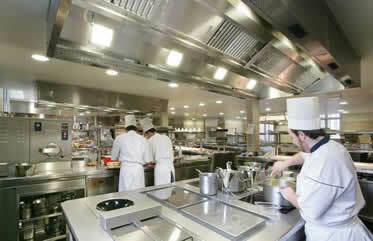 We know exactly how to coordinate our work most efficiently with theirs to bring your project in on schedule. At Abe Cohen Plumbing and Heating Inc., we are a three-generation family business with more than 50 years in the plumbing trade. We consider our customers to be family and friends in a long-term relationship with us. We have the experience, expertise, tools, and equipment to install or upgrade the plumbing and fixtures for your commercial bathroom or kitchen installation or renovation project in the greater Montreal area. We are respectful, clean, and professional. We are certified and active members of CMMTQ (Corporation des maîtres mécaniciens en tuyauterie du Québec), ACQ (Association de la Construction du Québec), and certified partners of Gaz Métro for natural gas piping and installations.